I 've replaced my 40mm personality figure of General Waldebeck with a nice one from Drabant; he now wears a nice new coat and rides the horse presented to him by the King for his services during the 3rd Belgravian wars. Kurassiers, from Front Rank, get one step closer the horsies finished - riders nearly there, hat lace and swords etc todo plus belts. For my 40mm collection, I've finished casting a hussar regiment form Nürnberger Meisterzinn moulds, plenty of painting todo as my lead mountain starts building up again. 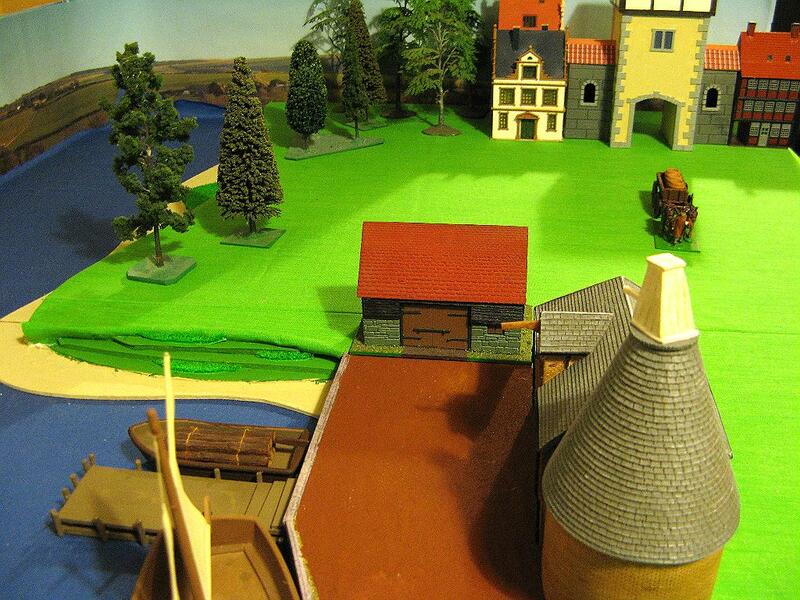 The Grenadiers land and make their way to the rear of the fort, while the fort's day watch rush through the main gate. Will they have a peaceful day ?? Count Hermann: Sad news your majesty, your elderly cousin Ludwig of Zinzendorf has passed away. Count Hermann: Yes. I have received assurances from the ambassador of the Imperium that they will not oppose the inheritance. 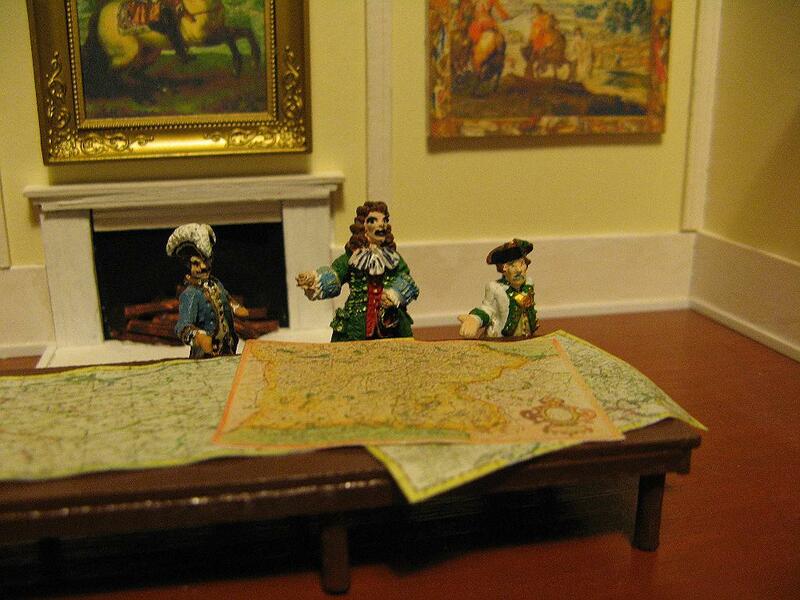 King: We'll have a look at the maps to see where the Principality Zinzendorf is when we see the Field Marshal. 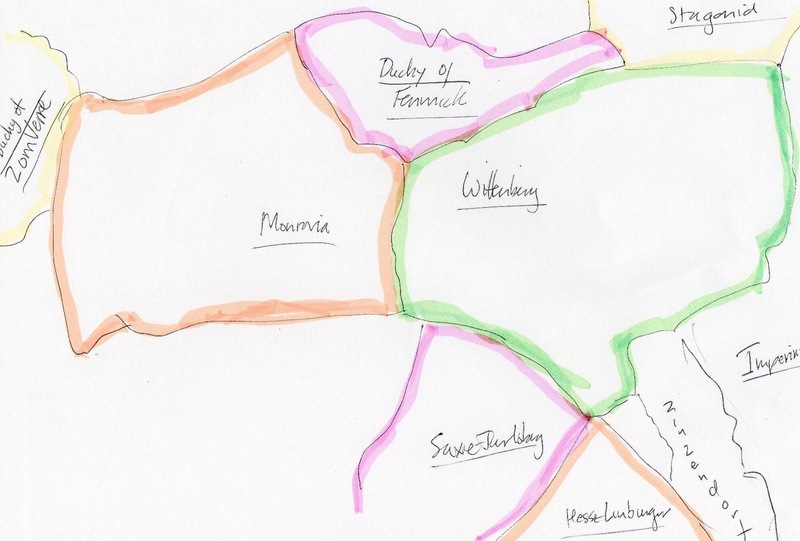 Field Marshal: here is map of the area around the Kingdom of Wittenberg, you can see that Zinzendorf is in the south west. 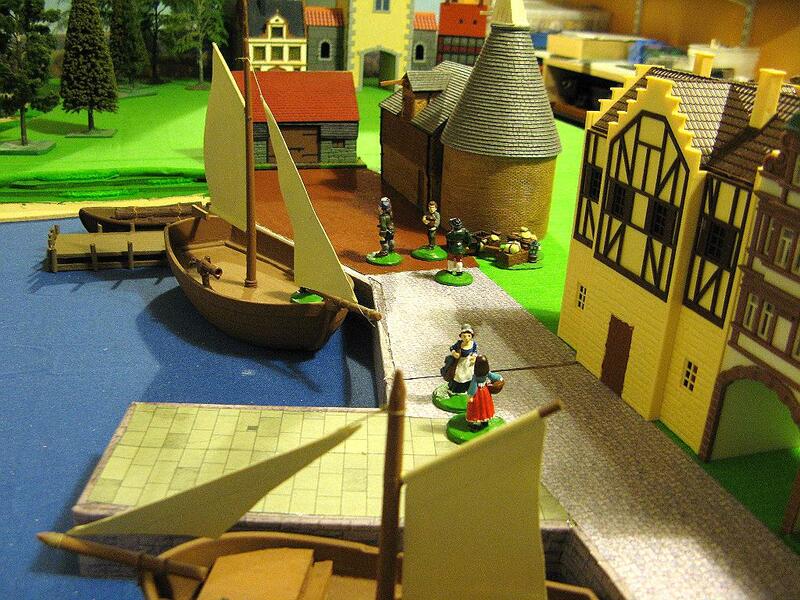 King: Inheriting Zinzendorf means we will control more access to the trade on the river Oudear. Count Hermann: Yes indeed. It will make a good addition to our lands, adding to the recently 'acquired' Braunlandt and Hoflandt. King: I am most annoyed with Hesse-Limberger's disruption of trade on the river Oudear, they have been raising tariffs and impounding goods destined for Wittenberg. Field Marshal: here is a map showing more detail of the southern border region. 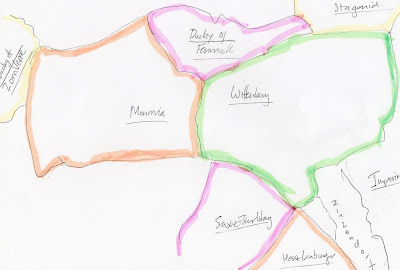 ..
Field Marshal: I suggest an attack on the main Hesse-Limberger trading town of Hottenweldt - we can send the river marines on boats from Vanderhof with additional support - landing by the wharf's, destroying the facilities plus stored goods and if we have time attack the town itself. King: Excellent idea, make the necessary arangements; that will send a clear message to them. South of Wittenberg, further down the river Oudear in Hesse- Limberger, the officer in charge of a fort keeps a close eye on the boats moving up and down the river. 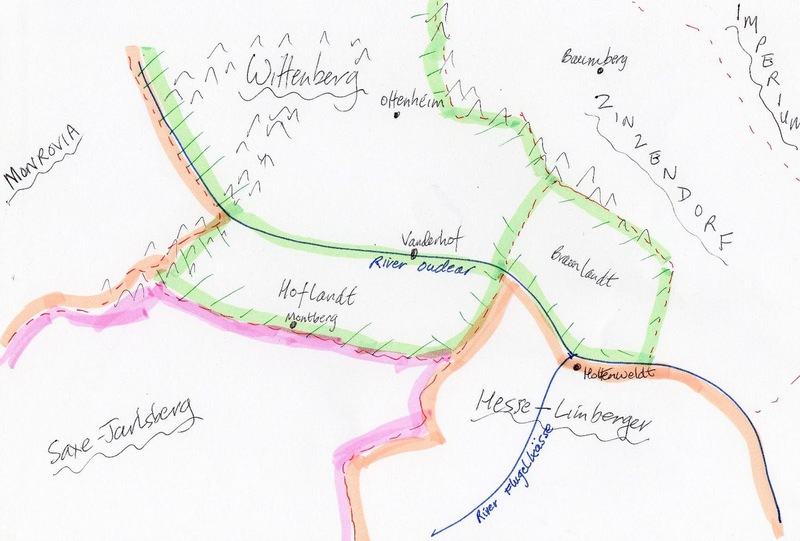 Where is Hesse-Limberger ? its south of Saxe-Jarslberg, south of ... hmmm better get a map of the southern border region updated ! The Kurassiers langiush unfinsihed on my workbench while I build a small fort. I found an offcut of 3mm MDF board which had an interesting sort of hexagonal shape - might be able to make us it as a base to a small fort I thought; so I evened up the shape to make it symmetrical. - this got me going and I carried on constructing the fort uising cardboard and foamboard. The King is sitting at his desk in the libray, enjoying the view of the palace grounds while he considers the progress of the border wars in the south against Saxe-Jarlsberg and Hesse-Limberger.